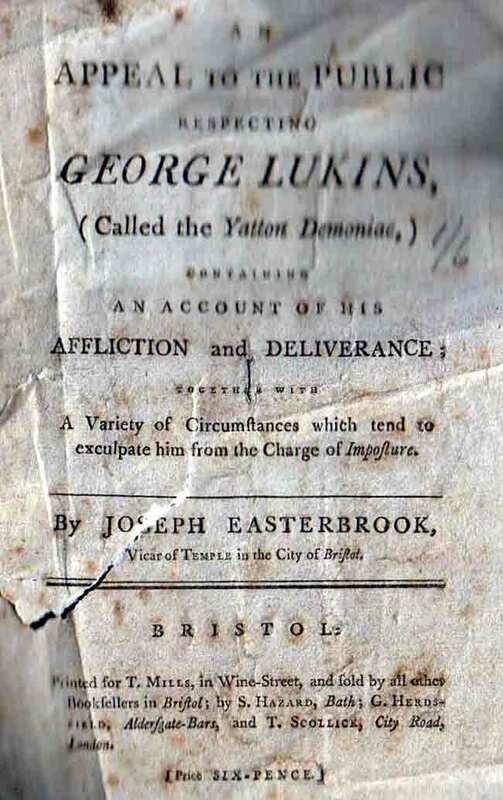 Julius Herrstein, whose articles about Roman history in the Wrington area appear elsewhere on the website, was kind enough to provide a set of scanned images of the pages of two remarkable 18C publications which describe the sufferings and eventual curing of one George Lukins of Yatton, who was regarded as being possessed by demons. The author of the two publications was the Revd Joseph Easterbrook, Vicar of Temple in the city of Bristol. 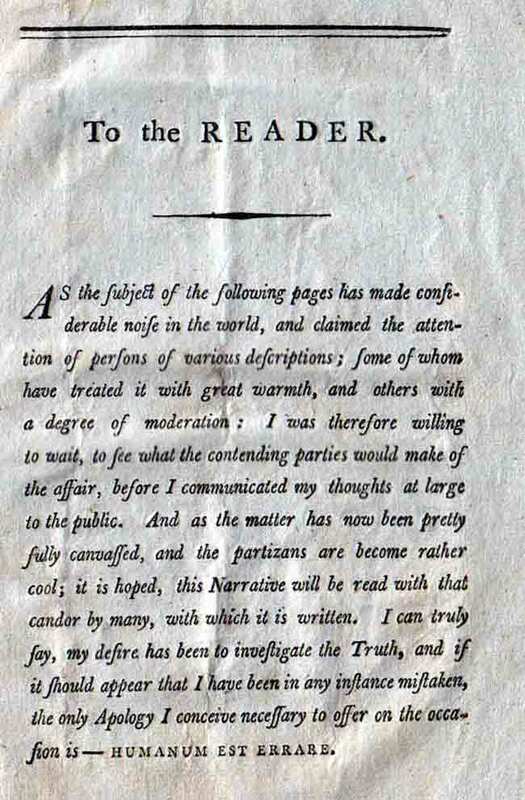 The second publication is described as "the second edition", and deals with reactions to the first. It contains a letter from a clergyman living in Wrington. He is referred to only as "the Rev W.R.W", and he cannot be the rector, since, in 1788, the date of printing, the rector was William Leeves. There are also references to a lady resident of Wrington, and two "respectable surgeons" of Wrington, a Mr Smith and a Mr James. Apart from this local relevance, there is the more general issue of the diagnosis and treatment of psychological symptoms at this period, a matter of great interest to Julius Herrstein, whose career was in psychiatric nursing, and is in charge of the museum at Manor Park hospital.